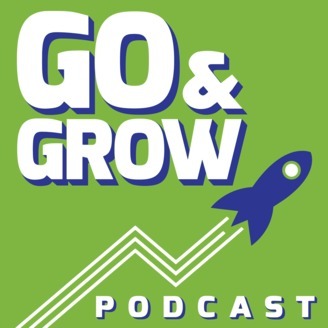 The Go and Grow Podcast is where you’ll learn from inspiring entrepreneurs and industry leaders about how they launched their companies, products, and campaigns and the marketing and growth tactics they used to increase users, revenues and profits. 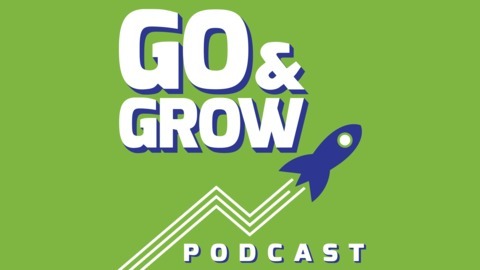 In each episode, I'll interview entrepreneurs, startup founders, and industry leaders about how they came up with their business or product idea, what they did to get it off the ground, and the marketing and growth strategies they used to grow. This episode marks the end of Season One. We're going to take a break, and I want to talk about why. I’ve been guilty of lacking focus and spreading myself too thin. I haven’t been making enough progress on what really is important to me in the business world: launching and growing a startup. So I’ve decided to make some changes and focus more of my attention on that ONE thing, and, unfortunately, that means something has to give. I love speaking with startup founders and entrepreneurs, engaging with all of you, and working on the podcast – but, right now, I need to make that conscious effort to focus more of my time and energy on launching my startup. Once that gets going, you’ll hear me back on the mic. I’ll continue to leverage this amazing medium to connect with and learn from other entrepreneurs, and I'll share that knowledge with you as well. If you’re listening right now, thank you so much for joining me. The ride’s not over; it’s just going to sit still for a little while so I can focus on my ultimate goal of launching and growing a startup – just like many of my guests have.